These tiny species are, clockwise from top left, S. concinna, S. minima, S. pusilla and S. muscicola. All are very small, but S. minima is the smallest and S. muscicola is the largest. Both have only recently been discovered; pusilla and concinna have been grown for more than a century. This group includes the smallest Sinningias as well as some of the largest. The small ones are S. pusilla, S. concinna, S. muscicola and discovered in 2015 the smallest of them all, S. minima. All grow in moist, mossy places and can be grown in cultivation in pots the size of thimbles. S. elatior, S. curtiflora, and S. tubiflora are shrubby “meadow” species, like a lot of sun and water and bloom near the top of tall stems. They bury their tubers well below the soil line. S. curtiflora (top) and S. sp. “Pancas” are very different in appearance, but are fairly closely related. 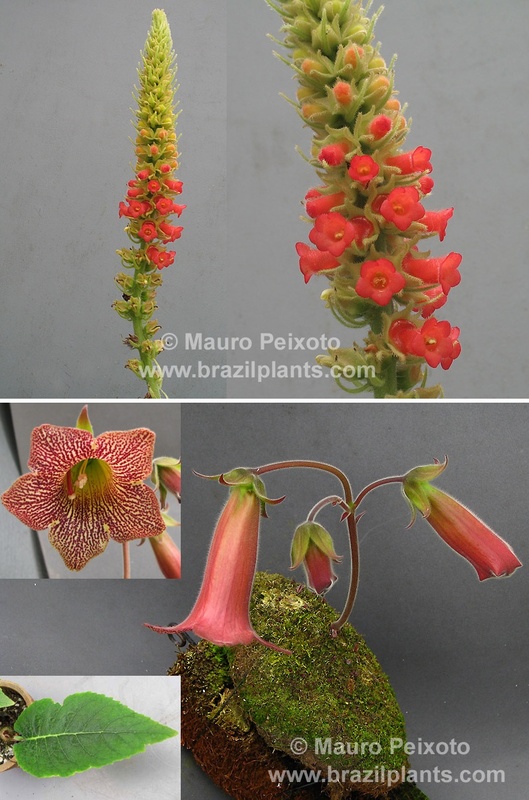 Photos courtesy BrazilPlants. S. sellovii is a familiar member of this group and is very easy to grow. With age it forms a very large tuber. 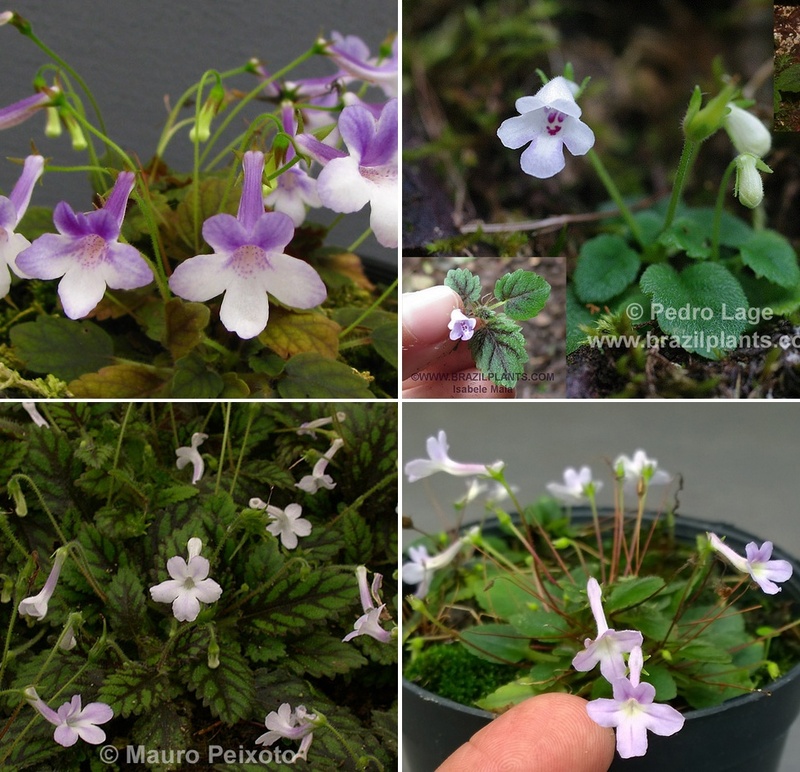 Another set of species is S. defoliata, S. helioana, and the recently discovered S. sp. “Pancas”, which has yet to receive an official name. These species send up bloom shoots directly from the tuber, usually after the foliage leaves have fallen. All three bloom in winter. The bloom shoots have at most very small bract leaves, if they have leaves at all. During the growing season, these plants have few leaves (usually one, until the plant is several years old). The leaf of S. defoliata is perhaps the largest in all the alliance. All the species in this group form tubers and all have the genus name, Sinningia.